A storage unit is a great way to maximize your living space and free you up from excess belongings while you’re on the move. To make the most of your available space, keep your items secure, and help you easily locate your belongings, you might need some help. East "O" Street Self Storage in Lincoln, NE, has provided some valuable packing tips to make the most of your storage unit. When keeping your items in storage, it’s important that you know exactly where everything is when you need to access it. To save yourself the trouble of digging through your storage unit and creating disarray, it’s best to label all boxes with their appropriate contents. 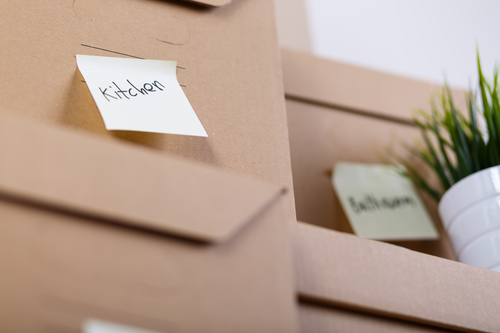 In addition, mark any fragile items so that you don’t break anything during the moving process or accidentally place heavy pieces on top of them while they’re in storage. For items that are too large to fit into boxes, such as furniture, carefully cover them in plastic wrap and use moving blankets to avoid damage. This will ensure your furniture stays damage-free while in storage as well. You’ll also want to disassemble any large pieces of furniture so that you can fit more items into the unit. You should get creative with how you utilize the space allotted to you in your storage unit. If you have any large, empty vessels, such as a minifridge, use the space inside to store books or other personal items. You’ll also want to make sure to fill your unit with heavy belongings first to create a stable base, and then fill the remainder to capacity with the lighter items, which can sit on top. Although you want to make the most of your space for storage purposes, you also need to make sure you can reach your items when you need them. Be sure that you can safely traverse the storage unit and all boxes are facing outward so that you can read their contents without needing to move anything around. If you’re looking for a secure and reliable storage unit for your belongings, contact East "O" Street Self Storage in Lincoln. With convenient amenities, high-tech security, and outstanding service, they make safety their number one priority. To secure your self-storage unit today, give them a call at (402) 489-0134, or visit their website to learn more about their services.